Boogie Cousins is back and we’re here to talk about it. 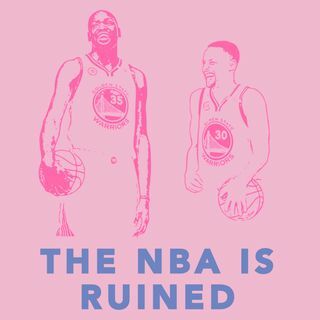 We also talk about Steph’s oopsie, Jordan Bell and Kerr screaming at each other, Rocco’s SoCal Life, Klay’s insane night from 3, James Harden’s shooting streak with zero assists, Naomi’s genius All-Star Weekend pitch, and more! Be sure to rate and review the podcast, it helps our numbers, and get new listeners. You’re the real MVP.